There is an unusually warm and sunny Easter weekend approaching so why not head out of the city and enjoy the Spring colours as nature explodes after it’s long dormant sleep. Make up a picnic basket, grab your bikes, strollers and walking shoes and explore some of these lesser known spots just an hour or two out of Prague. 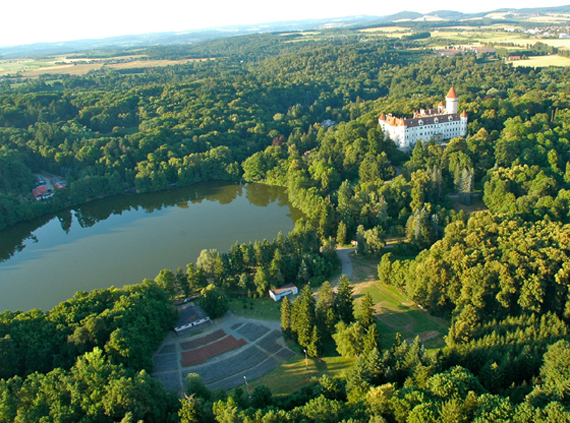 An hour from Prague you’ll find this unusual chateau which was extensively damaged in the 2002 floods. 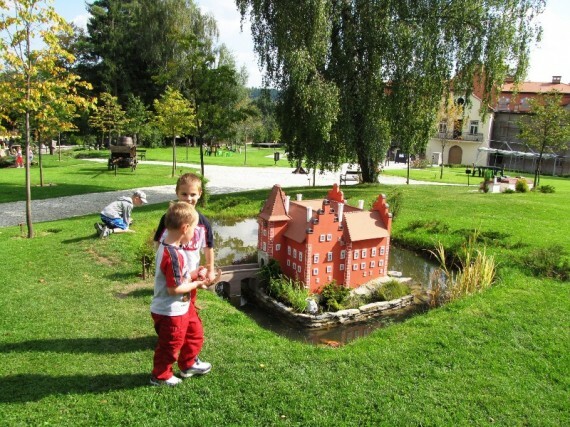 Veltrusy sits in massive English park gardens and is an ideal spot to take your bikes. The chateau has a small formal garden with fish ponds and then the massive grounds to explore - keep an eye out for Deer. There is plenty of room for picnics, or you can have lunch at the restaurant on-site which has a small kid’s play area. 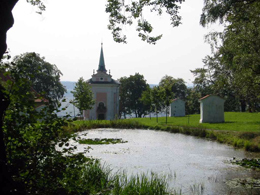 A town on the edge of the Brdy Forests with a beautiful lakeside chateau and a baroque chapel on the hills above. Use your legs and climb up to Skalka, you will be rewarded with lovely views and a great little outdoor snack bar serving beer on tap and with a lit fire pit and sausages to grill. 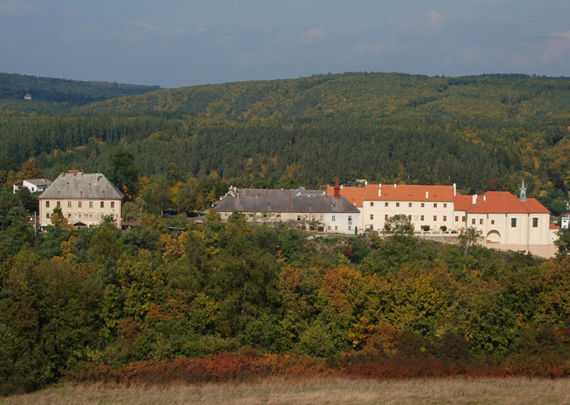 Once above the town you are in the Brdy nature and can cycle or walk on flat forest paths. The chateau will also be holding an Easter Fair this Sunday (24.4) featuring a historical Fencing display, a craft workshop for kids including egg decorating, theatre performances, an exhibition on Barbie dolls, castle tours for children and a country music performance. At Nižbor Castle (near Beroun) this Saturday you can experience the Celtic Feast of Beltaine Easter which predates Christian traditions. Children can partake in traditional crafts such as making coins, jewelry and metalwork. There will also be fun games, contests, fairytales told and a popular archaeological workshop. Visitors can also enjoy demonstrations of contemporary dance. 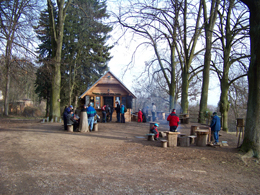 Food and drink will be on sale at the castle which also houses a permanent exhibition on the Celts in Central Europe. This is a Chateau with landscaped gardens, mini displays and playground set up for kids, along with tennis courts for hire. I think it looks really nice and I know Darina and her family enjoyed it as did others that have since been. You can read all about it here along with an interesting debate in our comments section. Jemniste is a lovely sized chateau with impressive facilities. It has a good restaurant, a cafe with great cakes and from here you enter the lovely grounds with your pre-ordered picnic (or you can bring your own). The gardens feature old established trees, lakes and a mini zoo. This is a spot I have written about before so you can find all the details and view additional photos here. The large national park of Český Ráj (Bohemian Paradise) is best known for its sandstone rock formations, masses of ruined and preserved castles and beautiful natural scenery. There are countless hiking and bike trails to undertake and it’s a good idea to do some research before planning your trip. We’ve biked around and done some simple walking between Hrad Valdštejn and Hrubá Skála Chateau which takes in the rocky scenery and showcases these two beautiful castles. Hrubá Skála Chateau also has a restaurant serving food and drinks. 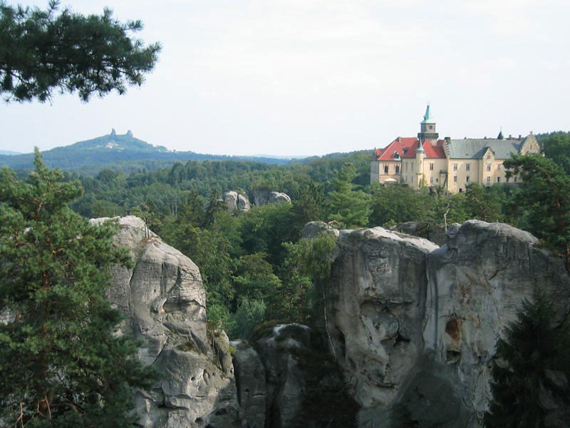 You can find lots of information on Cesky Raj on the link below, including various walking maps which take you through the more spectacular parts. 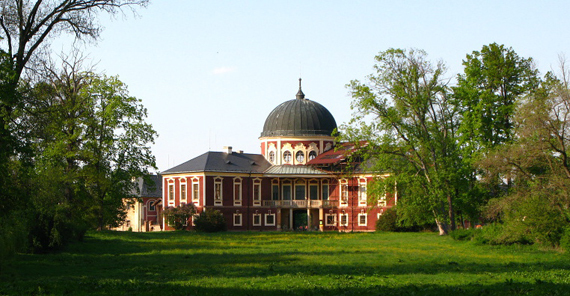 Zámek Dobříš is a stunning example of a Rococo Chateau and Gardens. Keep an eye out for Count Collorado – Mannsfeld who is the lucky owner of this fine chateau as well as another castle in Austria, he splits his time between both places! Tours take place regularly but just having an ice cream and a walk in the formal, hedged gardens is adventure enough for kids who will view it is one big maze. There is a pretty good restaurant on-site with plenty of seating indoors but also some outdoor tables too if you are quick enough to grab one before the lunchtime rush, high chairs are available too. If you are after a closer spot to picnic and enjoy some space then I can highly recommend finding a nice sunny spot at the Dendrological Gardens. We’ve come here often and enjoyed lazing by the lake with our lunch, walking through the enchanted glades and letting the kids have a play in the nice playground. There is also a memorial area where trees are strewn with bells for people to ring and there are some wooden goats for the kids to climb on. Kids are also allowed to ride their bikes on the trails. Near to Beroun are the Koněprusy Caves. 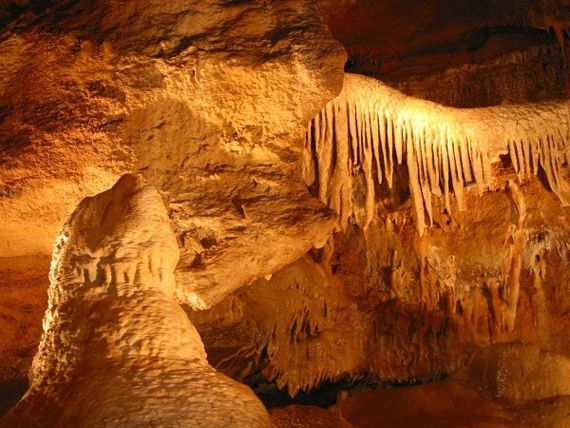 These limestone caves are 70 m underground and over 2 km long, tours run daily and take 1 hour. The caves are also close to the famous castles of Karlštejn and Křivoklát which are spectacular sights to view even when just passing by. Darina also reviewed an excellent restaurant with kids playground and landscaped, alfresco dining very close by to these caves which you can read about here. The seat of Franz Ferdinand d’Este, heir to the Austro Hungarian Empire before his assassination in Sarajevo, Konopiště is a history nut’s paradise. My father was allowed to view Franz Ferdinand’s diary on a visit to the family’s private rooms many years ago and this was an experience he will never forget. For those looking for picnic spots, the castle grounds are extensive and include an English park, Rose garden, Greenhouse and a lakeside walk which is great for those with strollers. You will also find a couple of snack bars selling beer, sausages and other simple foods as well as a few decent restaurants. The castle grounds often hold Jousting Festivals and other events over Summer. For Easter the castle is staging an Easter exhibition with Easter decorations on display and for sale.